We have released two issues within this volume, one in Fall 2018, and now Spring 2019. The emerging field of media archaeology has opened up new avenues of research across fields and provided a way to challenge accepted historical layers of social and technical arrangements. Drawing from a variety of entangled theories and methodologies, bringing in German media theory, new materialism, digital humanities, software studies, cultural studies, Foucauldian frameworks, and others, media archaeology interrogates dead media, alternative technological schema, the composition of infrastructures, everyday objects, and other phenomena, providing new insights and recontextualization for scholars from an array of backgrounds. However, despite the interconnected promise of Media Archaeology, the practices and theories remain limited in their engagement with much of critical cultural communication and media studies. In the introduction to “What is Media Archaeology,” Jussi Parikka notes that “we need to be prepared to refresh media archaeology itself.” This collection is meant to continue exactly that – to highlight and connect ways to theorize and “refresh” the concepts related to media archaeology in connection with the study of communication. We have gathered an array of intersectional engagements with and applications of media archaeological practices as they function theoretically, methodologically, spatially, institutionally, and in relation to the study of communication. communication +1 is an open access publication. This entry was posted in dialogues on March 24, 2019 by communicationplusone. Related to our recent CFP, we are doing a small symposium at FAMU before ICA in Prague in May. Media studies has opened up new avenues of research across fields, helping to reframe the objects, sites, and histories of scholarly inquiry, providing a way to challenge accepted historical layers of social and technical arrangements. This symposium draws together critical intersections with media, applying postcolonial and feminist theories to contextualize and frame the mediated landscape, both past and present. Drawing from a variety of entangled theories and methodologies, authors engage with a variety of approaches, providing new insights for scholars from an array of backgrounds. This symposium also engages media itself through a media archaeological approach, reframing and interrogating our media so as to shed new understanding to our hyper-mediated world. Please join us for an engaging symposium. This entry was posted in announcements on April 5, 2018 by communicationplusone. The relationship between culture and policy has long been a major topic for media and cultural studies. With this issue, we hope to broaden the meaning of cultural policy, from policies that are explicitly regulating something we call the “cultural” (including media or traditional rituals or symbols) to include the practice of policy-making and the cultural legitimation of law and policy itself, regardless of the object or dimension of social life it regulates. The essays in this issue argue for (or at least accept) an understanding of policy as a cultural production representing certain ideological outlooks, and thus implicitly suggest that cultural policy studies should encompass a wide range of policies; at the same time, the essays are interested in the cultural mechanisms and means through which policies are promulgated and enforced – from think tanks to social media flak, from the global circulation of ideologies to the local practices of appropriation/resistance. To the authors we extend our deep gratitude for their contributions. To the readers we extend our invitation for input and suggestions. The following pages begin a conversation we hope will continue. And it is to those whom have spoken we shall turn. This entry was posted in announcements on October 16, 2017 by communicationplusone. In the introduction to “What is Media Archaeology,” Jussi Parikka notes that “we need to be prepared to refresh media archaeology itself.” This collection seeks essays by critical scholars of communication participating in this ongoing emergence of media archaeology as method or theorization to study mediums, objects, conjunctures, and other areas of interest to the study of communication. This collection is meant to highlight and connect ways to theorize and “refresh” the concepts related to media archaeology in connection with the study of communication. We encourage intersectional engagements with and applications of media archaeological practices as they function theoretically, methodologically, spatially, institutionally, and in relation to the study of communication. With this collection we hope to help provide communication researchers a space in which to explore the promise of media archaeology as a critical set of lenses in the study of communication. Please submit short proposals of no more than 500 words by December 3rd, 2017 to communicationplusone@gmail.com. Upon invitation, full text submissions will be due April 1st, 2017, with expected publication in September, 2018. The aim of communication +1 is to promote new approaches to and open new horizons in the study of communication from an interdisciplinary perspective. We are particularly committed to promoting research that seeks to constitute new areas of inquiry and to explore new frontiers of theoretical activities linking the study of communication to both established and emerging research programs in the humanities, social sciences, and arts. Other than the commitment to rigorous scholarship, communication +1 sets no specific agenda. Its primary objective is to create is a space for thoughtful experiments and for communicating these experiments. This entry was posted in cfps on September 20, 2017 by communicationplusone. communication +1 invites submissions for its upcoming issue, Media:Culture:Policy. The relationship between culture and policy has long been a major topic for media and cultural studies, but we hope to broaden what we mean by cultural policy – from policies that are explicitly regulating something we call the “cultural” – including media or traditional rituals or symbols – to include the practice of policy-making and the cultural legitimation of law and policy itself, regardless of the object or dimension of social life it regulates. In short, pieces in this collection would argue for (or at least accept) an understanding of policy as a cultural production, representing a certain ideological outlook, and therefore expect cultural policy studies to consider a wider range of policies; at the same time, it would be interested in the cultural mechanisms through which policies are promulgated and enforced – from think tanks to social media flak, from the global circulation of ideologies to the local practices of appropriation/resistance. In a sense, then, it is an understanding of policy that highlights its mutual constitution of and through culture. In the tradition of Policing the Crisis, it asks us to think about the dialectical process of cultural legitimation that is needed to make a set of policies seem reasonable and just, and the way that policies and laws then go on to determine the culture of the future. Media and communications are a central channel for these processes, making their regulation all the more important. Contributions to this collection would try to keep all three of these dimensions in mind as they explore a broader array of policy areas. Education policy, using a cultural legitimation approach (for instance Sandra Stein, The Culture of Education Policy). Environmental policy, especially the cultural effects of the oil industry involvement in U.S. and global debates about climate change and the role of media in those debates. Law/policing policy and the expansion of the carceral state/prison-industrial complex (e.g. Michelle Brown, The Culture of Punishment). Health (physical & mental) policy, such as looking at the dramatic expansion of the pharmaceutical industry and corresponding explosion of bio-medical explanations for social & personal distress. Transportation policy, especially the privileging of automobility in both “developed” and “developing” worlds. Food policy as cultural policy – and the cultural representation of food from those in the commercial mass media to the role of the food industry in health research, as in the recent revelations over sugar research in the 1960s. The relationship between urban policy and media representations in transnational locales, such as in the work of Steve Macek and Mike Davis. And the question of who has the power to make policy and how. Review of submissions will be complete by late January, with invitations sent shortly after. Upon invitation, full text submissions will be due April 10th, 2017, with expected publication in September 2017. For free access to the issue, and all of communication +1, please visit http://scholarworks.umass.edu/cpo/ . For more information about the project in general, as well as short pieces, lectures, and interviews, visit communicationplusone.org. This entry was posted in cfps on September 21, 2016 by communicationplusone. With this special issue we explore the boundaries of communication beyond the human subject and the restrictions of humanism by considering that which is radically other – the machine. These articles seek to interrogate the opportunities and challenges that emerge around, within, and from interactions and engagements with machines of all types and varieties. By examining the full range of human-machine interactions, machine-machine interactions, or other hitherto unanticipated configurations, we believe we have assembled a collection of ground-breaking essays that push the boundaries of our discipline and probe the new social configurations of the 21st century. For free access to the issue, and all of communication +1, please visit http://scholarworks.umass.edu/cpo/. This entry was posted in announcements on September 13, 2016 by communicationplusone. All of our content is now linked through the Directory of Open Access Journals. This was an incredibly time consuming process, including an overhaul of our open access policy to update to international standards, a lengthly and time consuming application process, and a transformation of our back-end data to match their standards. With the gracious help of UMass Libraries and BePress, we have weathered this process and now all of our content is linked with DOAJ. This is a huge step for us, as this will allow for all of our articles to be searched through multiple databases, increasing our authors’ exposure by many fold. Thank you all so much for your support, authorship, reviewing, editing, and readership. We could not have done this without the excellent community surrounding communication +1. This entry was posted in announcements on April 5, 2016 by communicationplusone. Abstract: When we publish and share images online, we are not always aware of the hidden data that we might send along with those pictures. Embedded metadata is a set of descriptive, technical and administrative information that travels unknowingly within digital files. They document the lifecycle of pictures, providing clues on the context of creation, use and circulation of images. An underlying component in the technical infrastructure of digital visuality, they contribute to shape “the semiotic and cultural system that structures the way visual artifacts are produced, interpreted and disseminated” (Mirzoeff at al., 2016). The recent literature in the field of media studies highlighted the part metadata plays in domains of activity such as the digital economy and informational infrastructures. Based on a case study of a series of photographs representing the carré rouge (red square), a visual form that became the symbol of the 2012 student upheaval in Québec, this paper analyses the specificities of metadata embedded in (photographic) images and examines their conditions of circulation on digital networks. How can embedded metadata be used to analyze the circulation of digital images on the Web? What are the limits and methodological challenges of this type of data? And what are the ethical implications of using forensic techniques to analyze invisible data in the graphic documentation of social movements? The aim of this paper is to contribute to the field of metadata studies by highlighting the specificities of embedded metadata as an object od inquiry, by exploring its relationship to the technical, social and economic conditions of digital images circulating online, and by providing an ethical consideration of its use in research projects. 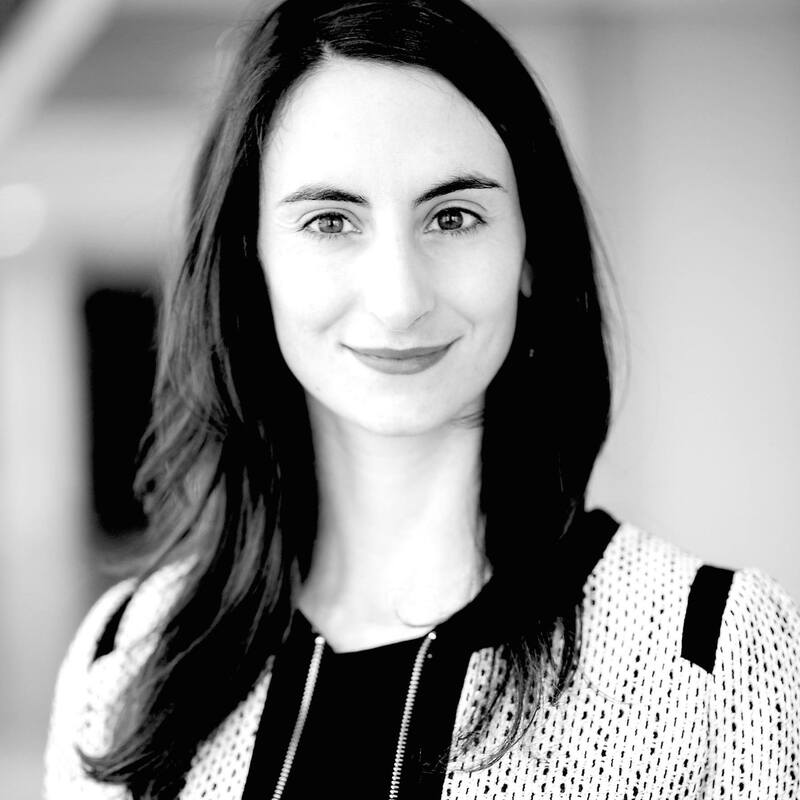 BIO: Nathalie Casemajor is an assistant professor in communication studies in the department of social sciences at the University of Québec in Outaouais (Canada). She holds a PhD in communication from Université du Québec à Montréal and a doctorate in information and communication sciences from Université Lille 3 (2009). She was postdoctoral fellow at McGill University (department of art history and communications studies) and at the national institute of scientific Research (INRS – Montreal, Urbanization, culture and society research centre) as well as a visiting scholar at the New York University (department of media, culture and communication). Her work focuses on digital culture, archives and collective memory. She is a member of the Wikimedia Canada Board. This entry was posted in announcements and tagged metadata, new media, talks on February 8, 2016 by communicationplusone. This entry was posted in dialogues on November 19, 2015 by communicationplusone. communication +1 invites submissions for its upcoming issue, Machine Communication. With this special issue we hope to explore the boundaries of communication beyond the human subject and the restrictions of humanism by considering that which is radically other – the machine. We seek articles that interrogate the opportunities and challenges that emerge around, within, and from interactions and engagements with machines of all types and varieties. By examining the full range of human-machine interactions, machine-machine interactions, or other hitherto unanticipated configurations, we hope to assemble a collection of ground-breaking essays that push the boundaries of our discipline and probe the new social configurations of the 21st century. Cybernetics, Bioinformatics, Knowledge Representation, or various applications of Software Theory. Please submit short proposals of no more than 500 words by December 13th, 2015 to communicationplusone@gmail.com. Upon invitation, full text submissions will be due April 5th, 2016, with expected publication in September, 2016. This entry was posted in cfps on September 23, 2015 by communicationplusone.